In less than a month, the second edition of the New Silk Road Congress takes place in the Dutch city of Tilburg. 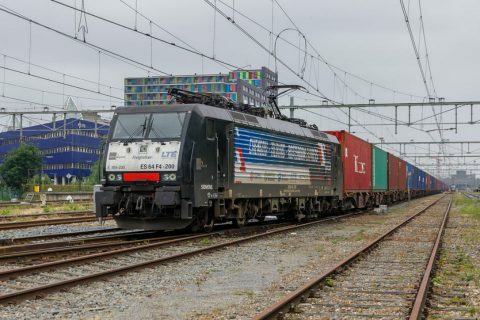 On 27 September, Het Patronaat will host shippers, logistics providers, lawyers, operators and other experts from all over the world to discuss the current state of affairs on the railway connection between Europe and China. The New Silk Road is no longer a novelty. 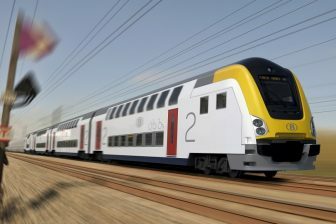 While westbound services connecting the continents are increasing by the month, the eastbound rail connection is also gaining popularity. The services are improving, transit times reducing and more and more people are getting involved, in one way or another. When is it viable to take the train? Which risks are involved, and how do these risks affect a product? How do you analyse all these factors before jumping onboard? These questions are best answered by the shippers, who have already taken the step to transport their products by train. Mead Johnson Nutrition has been doing this in eastbound direction for the past three years, Lenovo and Decathlon are successfully using the eastbound service. Ronald Kleijwegt was one of the first to ship electronics from China to Europe. These experts will join a roundtable discussion to share their experiences. With the rising popularity of eastbound services, it will be interesting to hear which products are welcome on the Chinese market. Jialy Zhang, who represents the Chengdu International Railway Investment & Development Group (CIPI) and currently works as a partner of Dutch logistics provider GVT in Tilburg will elaborate on the demand of market in Chengdu, and disclose information about the Dutch Pavilion, set up to help Dutch business people introduce their product in Chengdu. Practical information will also be shared by other experts. Arjan Haanstra knows everything about customs procedures. He runs his own company, Wilderbrook Customs & Railway Contracting and advises shippers on how they can prepare their documentation is such a way that they face least obstacles. Sanctions are another topic on the agenda; the restrictions imposed by Russia will be explained by Sebastiaan Bennink, who is a sanction lawyer. Doing business with Chinese partners requires some knowledge of local practices and procedures. Lawyer firm Buren Legal is specialised in this matter, as it has several offices in China and supports businesses who have come across difficulties in the country. A specialised lawyer will explain how to do a due diligence check of a Chinese partner, to avoid getting in such trouble. Rob Brekelmans shares this knowledge with years of experience in doing business on the New Silk Road. In his current position as the CEO of New Silkway Logistics, he will take place in the Ask me Anything panel, joined by other logistics providers such as Nunner and GVT. The New Silk Road is constantly under development. 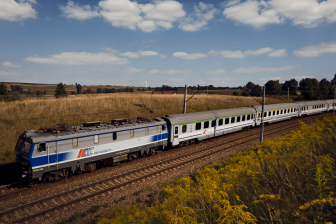 The main routes may have been defined, but connections are constantly changing to assure faster transit times and serve more destinations. These dynamics will come to the fore in a panel session. RZD Logistics will be represented by Olga Stepanova. Larisa Kuznetsova will join the discussion on behalf of UTLC and Roland Verbraak participates in the panel as the General Manager of GVT. 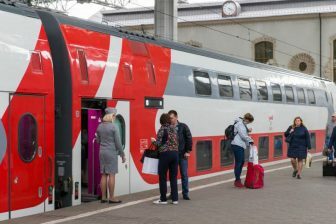 Alternative border crossings in Poland, the Kaliningrad route and transit routes through Russia are topics on the agenda. Moreover, new routes to and from the Netherlands, which have not been announced at the moment, will be presented. Although the theme of this year’s edition is ‘Doing business on the New Silk Road’, the day will kick off with several presentations discussing the wider context of the project. The keynote presentation will be held by the ambassador of Kazakhstan to the Netherlands Magzhan Ilyassov. He will elaborate on the role of Kazakhstan, which is an important transit country on many of the routes to China. The Chinese perspective will be represented by Letty Zhu, who works at the NHTV Breda Applied Science University. What is China doing to handle all incoming and outgoing freight? She will explain everything about the upcoming Henan Hub. Clingendael professor Frans-Paul van der Putten will explain how the west looks at the projects and at China, putting these views in perspective. Would you like to register for this event? This can be done here. More information, such as the programme in English or Dutch can be found here. Note: presentations will be held in Dutch and English; translation from Dutch to English will be available.